The Society for Co-operation in Russian and Soviet Studies (SCRSS) is a library and cultural centre, based in London, that promotes knowledge of the culture, language and history of Russia and the former Soviet Union. The Society is a Registered Charity No 1104012 and celebrated its 90th anniversary in 2014. The SCRSS Soviet Collections are a library and archive of the arts, humanities and social sciences of the Soviet Union (1917-91). See Library & Archive and Photo Library for more information on the individual collections and research. We also have a loan library for members' use. We organise events such as seminars, exhibitions, lectures and films, and promote Russian language learning. We are actively involved with, and a founder member of, the Soviet War Memorial in London. We facilitate cultural contacts between the UK and Russia. 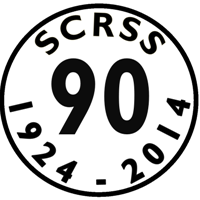 And we publish a journal, the SCRSS Digest. Find out more about the benefits of SCRSS membership. Please note: with the exception of our scheduled events, visitors to the SCRSS centre must make a prior appointment. Event: SCRSS Saturday Library Opening for Members Open to SCRSS members only. Event: SCRSS Annual General Meeting Open to SCRSS members only. Talk: 'Reading and Rebellion: An Anthology of Radical Writing for Children 1900-1960' Jane Rosen and Kimberley Reynolds discuss their new book, co-edited with Michael Rosen, which reveals the little-known genre of politically committed children's literature in inter-war and post-war Britain. Children's books and periodicals were a central part of radical activity to help the young build a new, more just and less class-riven society. Among other extracts in the anthology, many translations from well-known Soviet children's authors of the 1920s-40s are included. SCRSS members £3.00 / non-members £5.00. Pay cash on entry.